1) As a technology company, why do you partner with and invest in sports initiatives? • At Huawei, we believe in the importance of health, fitness and meaningful connections between communities. We are always on the lookout for opportunities that empower individuals and allows them to express themselves – so what’s a better way to do it than a sports activity that brings teams together from all over the world. 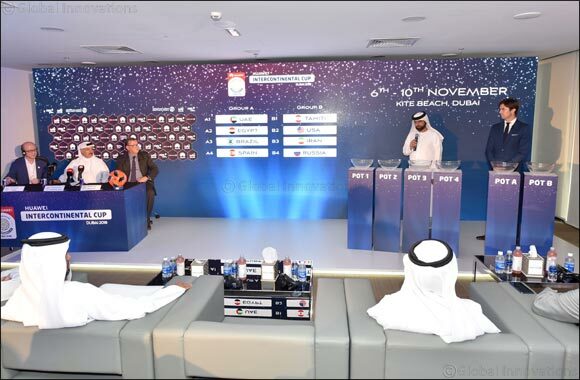 2) Why did Huawei choose the Beach Soccer Intercontinental Cup in Dubai? • The Beach Soccer Intercontinental Cup in Dubai 2017 was a great success for everyone involved; participants, organizers and sponsors alike. Our participation last year showed us a great deal of effort invested by the Government of Dubai in general, and the Dubai Sports Council in particular, to encourage great performances based on speed, power and unity. We are looking forward to welcoming teams from all over the world at the 2018 edition of the Beach Soccer Intercontinental Cup in Dubai, which will kick-start just a few days after the launch of our much anticipated smartphone, HUAWEI Mate 20. 3) What makes the Mate 20 different from other devices in the market? • The HUAWEI Mate 20 Series will be packed with unparalleled features and intelligence unprecedented in smartphones. Powered by the world’s first 7nm mobile artificial intelligence (AI) chipset Kirin 980, the HUAWEI Mate 20 Series will deliver powerful On-Device AI and a premium user experience with cutting-edge smartphone innovations. Much like sports do, it inspires creativity and productivity and empowers users to express themselves, unhindered by technological bottlenecks including an impressive camera and a powerful battery. Features we know our users especially in the UAE care about.